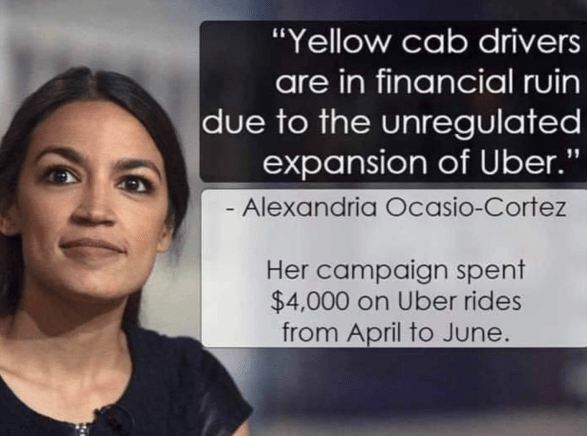 Of course, Alexandria Ocasio-Cortez defends cab drivers rather than the riders. Uber is infinitely better than any cab in New York City not to mention cleaner. These people are not capable of ever looking out for the consumer – only those with lobby money in hand for the next election. Is Trump Is Being Treated Fairly? Then Why Hasn’t Mueller Built A Bipartisan Team?